Former Humboldt County Deputy Public Defender Heidi Holmquist, who tells the Journal that a lack of leadership in the office forced her to leave a job she loved. A visiting Humboldt County Superior Court judge ruled Sept. 22 that a case challenging the hiring of controversial Public Defender David Marcus can continue, finding sufficient facts have been alleged to hold a hearing to determine whether he meets minimum state qualifications for the post. The county of Humboldt had asked Judge Marjorie Carter to dismiss the case brought shortly after Marcus' February hire, arguing the suit was "frivolous and baseless," an "artificial legal controversy" brought by people "fuming about the merits of the political appointment." Carter's ruling came as turmoil in Marcus' office bubbled into public view amid an exodus of experienced attorneys from the office and the continuance of a high-profile murder case due to a resulting staffing crisis. Shortly after Marcus' Feb. 8 hire, local attorney Patrik Griego filed a lawsuit challenging the appointment by the Board of Supervisors, alleging that Marcus didn't meet the minimum state qualification for the position requiring any candidate to have been a "practicing attorney in all the courts of the state for at least the year preceding" his or her hire. Griego has argued that Marcus does not meet that definition, as he was living in Florida and working primarily as an insurance adjuster prior to being hired by the board. The county has countered that Marcus was licensed to practice in California, which itself meets the threshold, and that he was also working on a contract basis for a civil law firm based in Walnut Creek — Cella, Lange and Cella, which is owned by Marcus' close friend Chris Cella. But while Marcus testified under oath that he did work for the firm during the year preceding his appointment in Humboldt County, he also testified that he did not appear in court for the firm, did not author any pleadings and has no records of the time he spent working for the firm or any written contract or employment agreement. Carter's ruling paves the way for a hearing on the merits of the case, after which Carter would decide whether Marcus is qualified under the state statute. Griego indicated to the Journal he plans to request that hearing be scheduled as soon as possible. Meanwhile, Marcus' office has been rocked by a string of departures, with four attorneys — Owen Tipps, Jennifer Dixon, Meagen O'Connell and Heidi Holmquist — having resigned in the last eight weeks. In fact, of the eight deputy public defenders listed on the office's online staff directory, only four remain, with one of them out on medical leave and another on paternity leave. 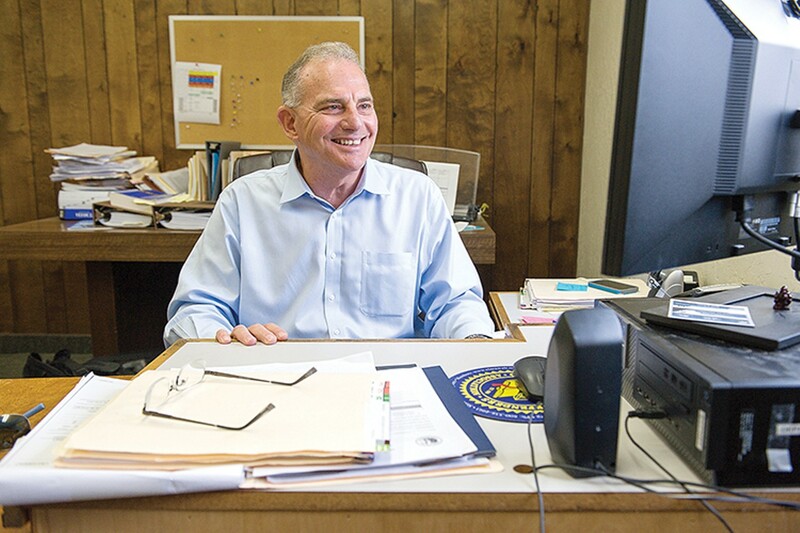 Humboldt County spokesman Sean Quincey said, as of this week, the office has two unfilled attorney positions, but the office is expected to be fully staffed with the 11 attorneys it is allocated by Oct. 18. That staffing breakdown doesn't seem to square with the facts on the ground, however, as it appears that where the office previously had six felony attorneys — Holmquist, Tipps, Dixon, O'Connell, Luke Brownfield and Casey Russo — it now has only Russo, Brownfield and Brie Bennett, who's been bumped up from handling misdemeanors. Regardless of the exact numbers, staffing levels in the office appear in such dire straits that on Sept. 20 Russo asked for — and was granted — a continuance in a murder trial slated to begin next month, saying the staffing shortage and accompanying caseload prevented him from providing a competent defense for his client. According to a pair of news reports on the hearing, visiting Judge Carter agreed to the continuance only after quippishly asking Russo if he would guarantee that he wouldn't quit before the new February trial date. The ramifications of the office's attorney exodus are potentially huge — extending well beyond a four-month delay in a jury trial that's estimated to span six weeks — as the county's deputy public defenders serve thousands of clients and handle more than 80 percent of the criminal cases filed in Humboldt County. Marcus did not respond to requests for comment for this story. The Journal has reached out to all the attorneys who have departed under Marcus' tenure and the two who agreed to be interviewed were critical of his job performance. Holmquist, who spent eight years in the office and was heralded for the rare feat of securing acquittals in two high-profile murder cases, prompting a Journal profile of her last year ("The Defender," May 19, 2016), said she came in under Marcus' predecessor, Kevin Robinson, who retired in December. Robinson, Holmquist said, was a "great leader" who instilled "solid principles" in the office. "When cases aren't getting covered because of a boss' oversight or there's no one to go to when you have a really serious case, or you're just being dumped on with more and more work because someone's not willing to do their share, it weighs on morale," Holmquist continued. "I just can no longer be a part of an office that no longer stands for what we were all taught you should be as a public defense attorney." Eric Fleishaker, meanwhile, only worked in the office for about six months before leaving last spring to take a "dream job" with the San Francisco Public Defender's Office. While there was controversy surrounding Marcus' hire back in February — some in the community were critical of the county's hiring process and some in the office had been rooting for internal candidates for the post — Fleishaker said everyone wanted the situation to work. He said Greg Elvine-Kreis, who was serving as the interim public defender at the time but has since been appointed by the governor as a Humboldt County judge, called a meeting after the office learned of Marcus' hire through media reports. "He just said that everyone in the office is a really strong attorney who does really good work, just keep doing that and give the guy a fair chance," Fleishaker recalled, adding that attorneys in the office saw red flags in the fact that Marcus hadn't practiced criminal law in California for five years, since before the state passed a massive criminal justice realignment bill. "Greg was trying to nip any concerns in the bud that he was going to clash with this guy. Everybody was certainly cautious, but nobody was out to get him." Fleishaker said alarm bells went up among some in the office when Marcus "asked a felony attorney about how to do a felony arraignment and asked about in what situations it was appropriate to waive time," referring to the decision on a defendant's right to a hearing within a set number of days. "That sort of raised some eyebrows," Fleishaker said. But Fleishaker said the moment that really gave him pause was when Marcus came to him to question the mental competency of a client. Marcus, it seemed, was looking for guidance on the office's policy that governs when a public defender should declare a doubt about his or her client. "He was asking what I think the policy is and should be about declaring doubts about a client's competency," Fleishaker said. "I felt he was looking to me — a very new attorney — to help set policy." Over time, Fleishaker said he came to feel Marcus was repeatedly and exclusively coming to him and another young attorney with questions, "as though he felt his ignorance would be exposed" if he sought advice from the office's numerous senior attorneys. Fleishaker also said he felt Marcus didn't appear to set a tone for "client-centered representation," pointing to a day early in Marcus' tenure. He said Marcus had a full day of appointments with clients scheduled but had something come up that would keep him out of the office so asked another attorney to fill in for him. But Marcus returned to the office around noon, Fleishaker said, but still let the other attorney handle his appointments. "I don't think that was a good example to set," Fleishaker said. Holmquist, who started Sept. 18 at her new job as a partner in Zachary Zwerdling's law firm, seemed to feel similarly. 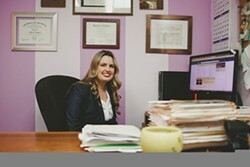 She said whenever she or other attorneys went to solicit advice or direction from Marcus, "it didn't feel as though you were getting anything back, any real answer other than him just re-asking the question to you. There was no back and forth, no support." And that support is integral for a public defender's office to function, Holmquist said, noting that defending indigent criminal clients is often a thankless, stressful job and that it puts a single attorney against the vast powers of the state, its police and prosecutors. "You can't imagine how stressful it is to represent someone who's charged with something horrible like murder — it's an incredible weight to bear," she said. 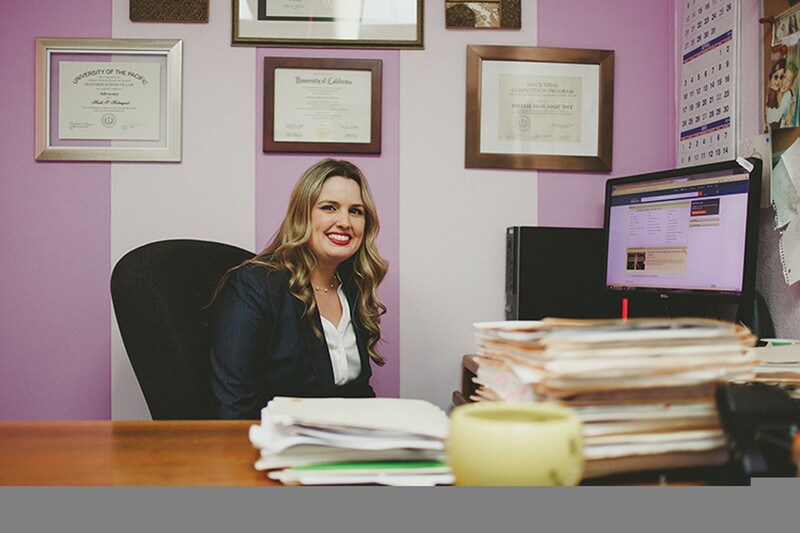 "It takes a lot for someone to be a public defender, a great sense of community service, but at some point you need to say, 'I have to look out for me.' I think the departure of four senior attorneys in the matter of two months speaks volumes. I had to say goodbye to a job that I loved just a year ago." While Holmquist said she probably would have just thanked Zwerdling for his interest and turned him down if he'd called this time last year, she was unhappy enough with the state of the public defender's office to hear him out when he called recently. She said his offer — that she could do private criminal defense work while also learning personal injury litigation — was too good to pass up. "I'm excited to have someone who can be a mentor and who can support me," she said. While excited about new challenges, Holmquist struck a melancholy tone looking back on her tenure at the public defender's office, noting that even her departure was marred. She said she gave a month's notice before she left but Marcus still hadn't decided who would be taking her cases by the time she left. While Holmquist's frustration with Marcus was obvious, she also said she's frustrated with the board of supervisors. "To have a strong public defender's office is obviously not something that's valued by the county," she said. "There have been lots of opportunities to correct this and they haven't done it. ... The public needs to know this is a very serious issue and the public defender's office is one of the most important offices in the county. If it doesn't have strong leadership, strong attorneys and the staff to support them, the courts will be in a terrible situation." As the interview winds down, Holmquist is asked if there's anything she'd like to add. "I just want to thank all the attorneys who are still there," she said, pausing a moment. "This was a real demonstration to me about how important leadership is, especially in an office like that. You can have the best attorneys in the world but, without the necessary leadership, things can fall apart."